It’s about time to update the blog don’t ya think? I’ve been busy with a variety of projects over the past several months. 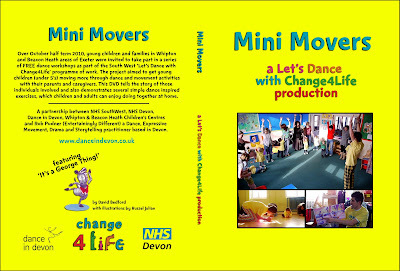 One of them has been the completion of the Mini Movers DVD for Dance in Devon. An instructional dance DVD for families with children under the age of 5. Very fun. Anyway, here is a little documentary I made about the project, which will also be available on the FREE DVD that is being printed as I write this. The first run of 250 DVDs are going to be made available for families and children centres across Devon. 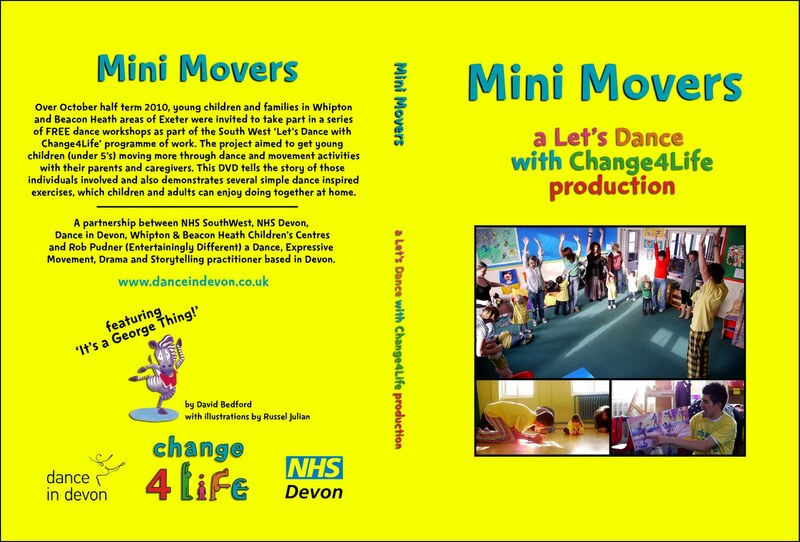 Mini Movers sessions have already been run locally as well by facilitator, Rob Pudner, Dance in Devon and the new Devon Carousel Project, so keep your eyes peeled for one or contact Dance in Devon at +44 (0) 1392 667050 (or) info@danceindevon.org.uk for a copy. On a side note, all four Saturday Morning Animation Club films were screened as part of the ExAnimate competition this year and were accompanied by a mini-exhibit in the Exeter Phoenix Digital corridor. It was great to share these films with more people. We will be starting a new-and-improved club next week starting March 5th for 8-12 year olds. This time it will run for 3 hours each week and will mix 2-D Stop Motion (run by me) with Digital animation (run by Graham Hayter). Hopefully we will be coming up with some great hybrid pieces! If you have a kid who would like to get involved, call the phone number in my upcoming workshops section at the top-right of this blog. We returned to Dorset this month to do some more digital training at St. Michael’s School in Lyme Regis. This time, there were three artists working with the participants, Stuart Dawson, Kate Green and I. It was very interesting working in this interdisciplinary manner, mixing photography, filmmaking, animation and sound recording. The result is quite an interesting, layered piece that the students and teachers in Year 5 made about their town. There will be more to come in the new year. Enjoy. Stuart Dawson (RA Projects) and I have just finished the production of a documentary and advert for The Playpark, Exeter’s all inclusive play park for disabled and able-bodied people. It is one of the first of it’s kind in the UK and is not only an impressive park in terms of equipment, but also in it’s grassroots vision. Established in 2008, The Playpark was made possible by the persistent endeavors of the local community, lead by project leader Miriam Guard. Find out more in our documentary, Play For All, and the subsequent advert that we made with the help of students from Countess Wear Community School and Southbrook School. If you are around Exeter and are looking for a great place to go with the kids, make sure you check it out at King George V Playing Field. It really is a wonder to behold. More information can also be found at The Playpark website.